Will you come to the Nurburgring with me?" My husband, Ronny, had trained rather eager eyes on me, and was looking expectantly for an answer. And somehow, even though the word "Yes" hadn't issued forth from my lips, I got the distinct impression that he was fairly confident as to what my response would be. 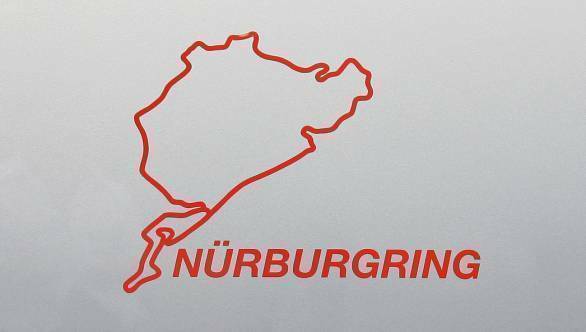 If I am guilty of one thing, it is of not reacting with as much gusto as one might expect of a motorsport enthusiast, presented with her very first chance to visit the famed Nordschleife. But I was tired from having driven the 675km between Berlin and Hockenheim; had a crick in my neck from having slept in the car in the press parking lot at Hockenheim instead of going to my hotel for a couple of hours' rest the previous night; and I had a very long interview with Petter Solberg sitting on my phone waiting to be transcribed. I couldn't go flitting off to the Nurburgring at the drop of a hat, could I? Except that when I thought about it a little, I realised that I could indeed go flitting off to the 'Ring. And I could just as well transcribe my interview at one hotel as another. And so all practical considerations - like the fact that we'd each arrived in Hockenheim from separate cities in separate cars - flew right out the window. And soon we were off, in a convoy of two, on a two-and-a-half-hour drive to our destination - that 20.8km-long motorsport mecca nestled in the Eifel Mountains. The drive there was to be the calmest point of my entire day. Just a few hours later, I was climbing out of a car to find that my legs had turned to jelly and were no longer able to support me. The word verdant could well have been used to describe my complexion - see I was feeling green. And somehow, even standing on solid earth, I had the impression that everything around me was in motion. What had happened, though, was Ronny, once we got to the 'Ring, had decided that he'd better use the opportunity of an open track day to go over the track once, and make sure he had committed it to memory for whatever work he had to do there the following day. And so I found myself strapped into the passenger seat of our little Polo WRC Street, hanging on for dear life as a gleeful driver chucked the car from corner to corner around the old Nordschleife. My neck was straining from side to side, my right arm was holding onto the grab rail, and I was beginning to wonder if I was completely mad to have agreed to this at all. Of course, I trusted the driver, who I knew to be fairly handy behind the wheel, but physics was causing very strange things to happen to me. And there was a slightly uncomfortable feeling that I had every time another motor nut, also at the Nurburgring for a look-see, came a little closer to us than I would have liked. It didn't help matters that Ronny, ever the pro, was calling out instructions to me, telling me where I ought to be looking, where the apex was in each corner, and exactly when he needed to brake and downshift. I was beginning to think he was going to quiz me on it soon after. But when our laps ended, I quickly came to the conclusion that what I needed was a little bit of peace and quiet. A few minutes of rest, during which time I hoped the various internal organs that had decided to take impromptu journeys and rush off to far flung corners inside of me, might decide to return to their rightful places. And since I, most wisely, hadn't eaten anything before my taxi ride at the 'Ring, I decided a little sustenance was in order. It was when we got the Pistenklause Restaurant (famous for being a popular haunt with some of the most prominent racers in the world, and also for being owned by Sabine Schmitz's family) did I have a chance to reflect on the day gone by. After all, beginning the day at one racetrack, and ending it at another, isn't the sort of thing to happens every single day. Well, not to me, anyway. I sat there, soaking in all the motorsport memorabilia on the walls, and replaying sections of the track in my head. A lot of it had whizzed by far too quickly, but the experience of barrelling through Carousel will always stick in my mind. I'm not quite sure why this memory of a trip to the Nurburgring surfaced today of all days, but I'm glad it did. Because it's put things into perspective. It's made me realise that life goes by very quickly indeed. Yes, sometimes even as quickly as a little white car on a very long and complicated racetrack. And while we might not be able to remember all of it, some parts will always remain vivid. The challenge, then, is to choose the right moments to create, in order for us to be able to make the sort of memories we'd like to have when we're 90. If we ever make it that far. And sometimes the only way to choose, is by doing something completely impractical, and giving in to an impulsive plan. Which is why, as the pages of the calendar flip forward to January yet again, I have a new year wish for you. I wish you a year of curiosity and learning. A year of impulse and memory making. And, most importantly, a year of happiness. A year that I hope will be worth remembering upon some distant day.